The "Fin del Mundo" Museum building is the visible façade of the history and nature of Tierra del Fuego. The Museum "Museo del Fin del Mundo" was started up in Ushuaia during 1979, in an old building on Maipú Avenue No 177, which until then served as a branch of the National Bank of Argentina. In March 1978 this building became entirely property of the Museum, and the Bank moved elsewhere. 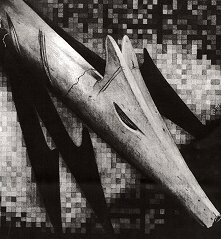 HANIS Association (History, Anthropology and Nature of the Islands of the South and Antarctica), which was created in 1973, finds through these means, the way to orient its work in defense of the Fuegian cultural inheritance. 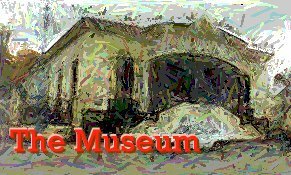 On May17th 1979, the Government of Tierra del Fuego issued Decree No 621, to create an Advisory Commission for the museum. The purposes of this board are to "Maintain the highest scientific and technical level in the museum's activities"; orient, plan and coordinate them , and supervise the Historical and Cultural samples. In the third article of this decree, HANIS Association is recognized as an "intermediate entity created to advise and cooperate with the Museum, offering within its possibilities, environment and functional facilities to develop scientific investigations, supporting and coordinating the museum's activities; and administrate the assigned funds". From this moment on, the Museum "Fin del Mundo" and HANIS Association worked together pursuing the same aims - the protection and restoration of the Fuegian past - and with only four years from the next millennium, these entities find through these pages a new way to spread the knowledge of our local history, as a way of taking part of the challenges of times yet to come. From 1915 to 1978, this building served as a branch of the National Bank of Argentina in Ushuaia. Since 1979 the Museum "Fin del Mundo" and HANIS Association have worked together here. 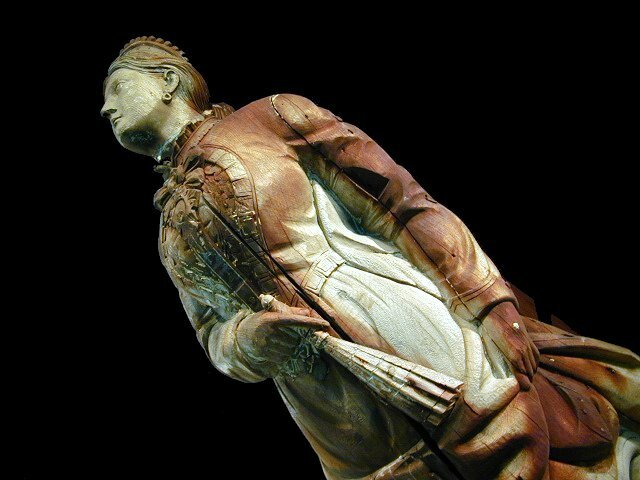 The figurehead of the "Duchess of Albany"
The Fuegian coasts were, over the centuries, silent witnesses of innumerable shipwrecks, especially during the 19th century. One of these shipwrecks was that of the Duchess of Albany, which took place on July 13th 1893 in Policarpo cove, on the northern coast of the southeastern tip of the main island of Tierra del Fuego. It's figurehead was rescued from the wreck by personnel of the Museum. It had been sculptured in homage to the princess Elena Frederica Augusta de Waldeck and Pyrmont, niece of Queen Victoria, Queen of England. It now hangs in the main hall of the museum. Clothing used by the guards and the convicts of the Ushuaia Penitentiary, which covered just over half a century of Tierra del Fuego's history. One of the most interesting happenings in the history of Tierra del Fuego was the presence of "Julio Popper", a Rumanian engineer. After having traveled during his youth through different parts of the world ( Egypt, Japan, China, India, Siberia, United States, Cuba, Mexico and Brazil), he arrived in Argentina in 1885, and in 1888 he came to Tierra del Fuego, settling at "El Páramo" (bare and cold region), on the north east coast near San Sebastián Bay. There he built and worked gold mines. As an example of the power and the influence he had in this area, he coined his own money and stamps, and had his own small army uniformed as Prussian soldiers to defend himself from marauders who came, attracted by the desire for gold. 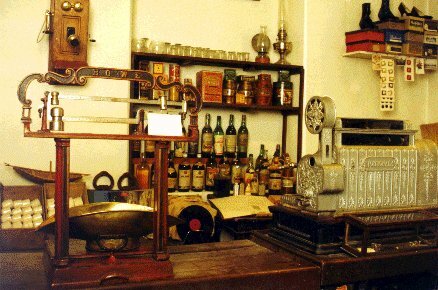 A corner of the Museum which shows a typical store of Ushuaia in the 30ies.